There has been no small amount of controversy over the development, creation and sale of food and beverage products that feature enhancements produced by genetic engineering. These foods containing genetically modified organisms are not uncommon in the marketplace, and a 2016 Pew Research Center survey about the matter found that in the U.S., 48 percent of people think there's no real difference between GMO-enhanced and non-GMO foods. At the same time, the Pew survey indicated a vague but persistent sense of distrust, and a piece from the journal Advances in Nutrition cited that people often remain unaware of what GMOs represent, or know the foods in which they are most prominent. "GMO foods are being sold in India without proper labeling." Recently, an investigation by an environmental advocacy group revealed the presence of GMOs in a great deal of the food and beverages purchased in India. Many of these were originally produced in the U.S. and Canada. In addition, a number of these products had been fraudulently labeled as "GMO-free." A case like this could ultimately lead to stricter regulations worldwide, especially if it prompts similar findings in other countries. Food and beverage businesses would be wise to update their label printers and related equipment in advance of any new stipulations, so they don't end up caught in a situation of noncompliance. The Centre for Science and Environment, one of India's most prominent non-governmental organizations, initiated this research effort in the interest of determining how much of a presence GMOs actually had in the nation's processed food supply. The country's main food regulatory agency, the Food and Safety Standards Authority of India, has banned the sale of GMO-enhanced foods that aren't specifically labeled as such since 2006, and the Ministry of Environment, Forests and Climate Change must also approve specific uses of GMOs. Many processed foods in India may contain GMOs even if products' labels say otherwise. 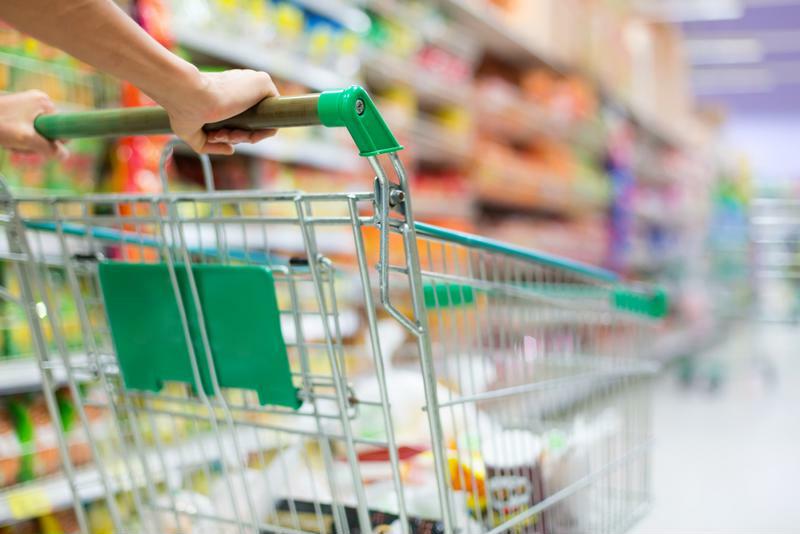 Researchers went about collecting the necessary data by purchasing 65 food products at random – 35 imported, 35 domestic – from shops in the Delhi National Capital Region, as well as Punjab and Gujarat. Items bought for the study included edible oils, packaged snacks, infant food and more. Concerns that have driven studies like this one include the possibility of GMOs creating toxicity risks due to clashes between original and modified DNA, though there remains considerable debate over the exact level of danger involved. A considerable majority – 80 percent – of the imported foods tested by the CSE contained traces of GMOs, mostly stemming from the presence of soy, canola, corn or cottonseed. All of these crops have been found to include GMOs in the past, particularly corn grown in the U.S., as noted in Time. Many of the imported, GMO-enhanced foods came from either the U.S. or Canada, though some were products of the United Arab Emirates, Thailand and the Netherlands. Overall, 32 percent of all the products the CSE looked at tested positive for GMO content at various levels. Also, CSE claimed many of the items either didn't note the presence of GMOs or were labeled as GMO-free. The organization's deputy director general, Chandra Bhushan, elaborated on this with fierce criticisms of the Indian government, in a statement accompanying the study. "We had been hearing about the presence of illegal GM food in India, and decided to do a reality check by testing processed foods," Bhushan said. "We were shocked to know the scale in which GM foods have penetrated the Indian market. The regulatory authorities are to blame here – the FSSAI has not allowed any GM food on paper, but has failed to curb its illegal sales." As an Indian NGO – albeit a longstanding one, founded in 1980 – with a progressive political slant, the CSE may not be able to exert as much pressure on the country's government as might be necessary to effect the implementation of stricter regulations. India is looking to keep up the pace of its rapid development that has made it one of the region's stronger economies, and as such might not prioritize enforcement of anti-GMO regulations. Nevertheless, the CSE was adamant in its explanation of what would be necessary to curb this issue: The advocacy group recommended a new safety assessment system for imported and domestic GM foods, as well as the investigation and prosecution of businesses willingly engaged in selling GMO-enhanced products without the full disclosure of their altered ingredients.